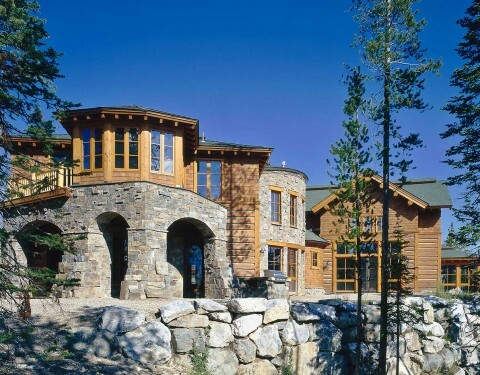 With a creative flow of rooflines, this massive home has the presence of a fortress! 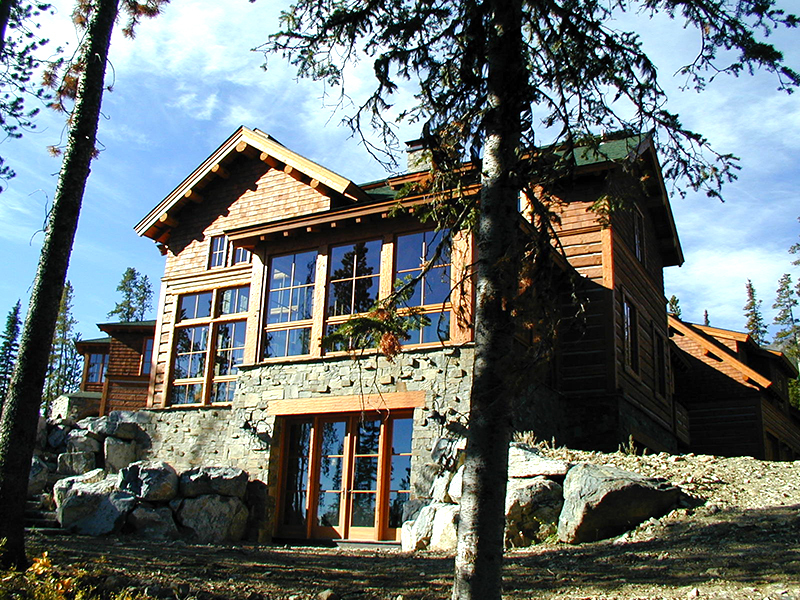 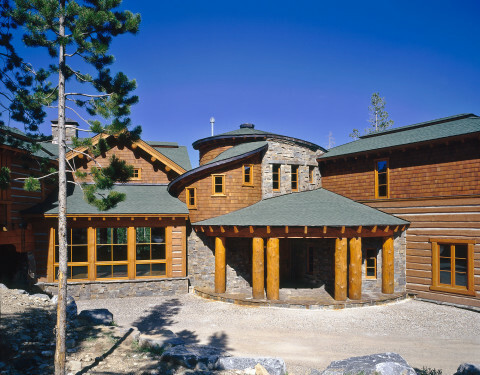 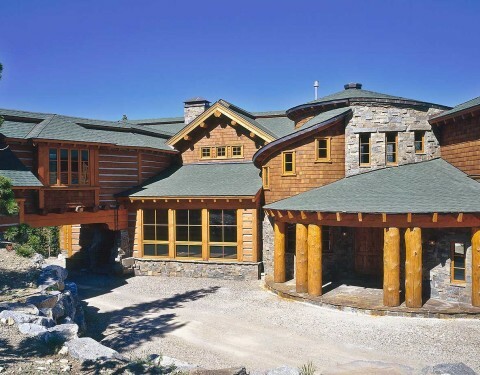 With a dynamic combination of natural materials—hand-hewn square logs, dry-stacked rock, cedar shake shingles, magnificently curved logs and arching timber frames—the Centennial House, set in the Moonlight Basin Ranch, is in a class all its own. 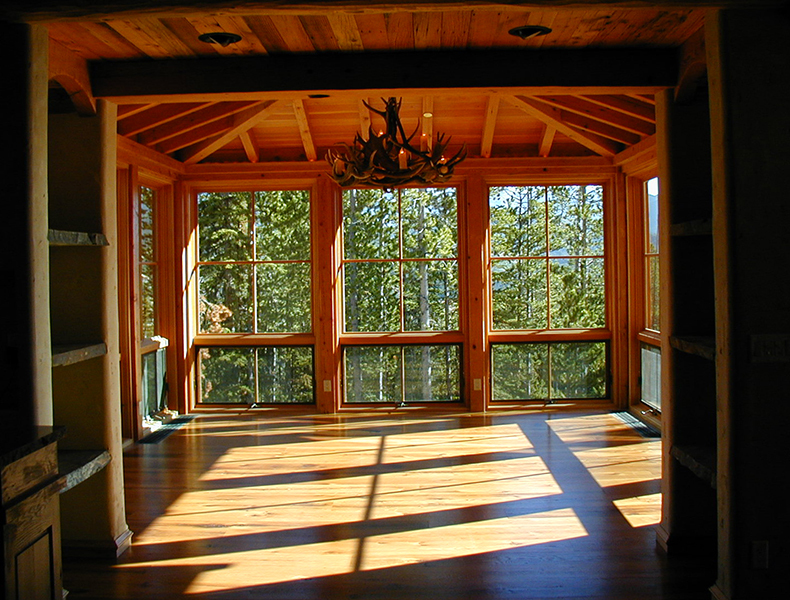 Throughout the home the diversity of the design continues with a rich variety of woods and finishes. 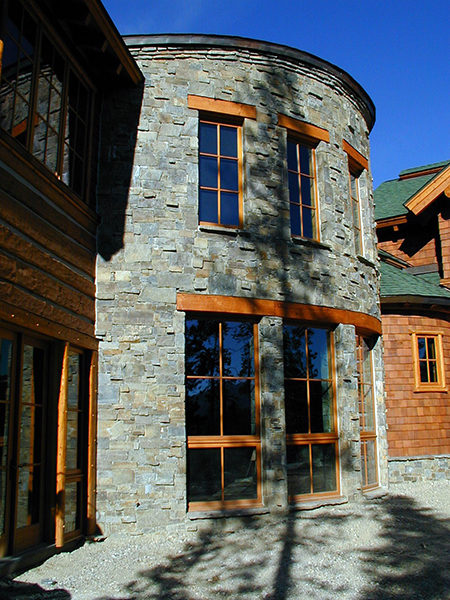 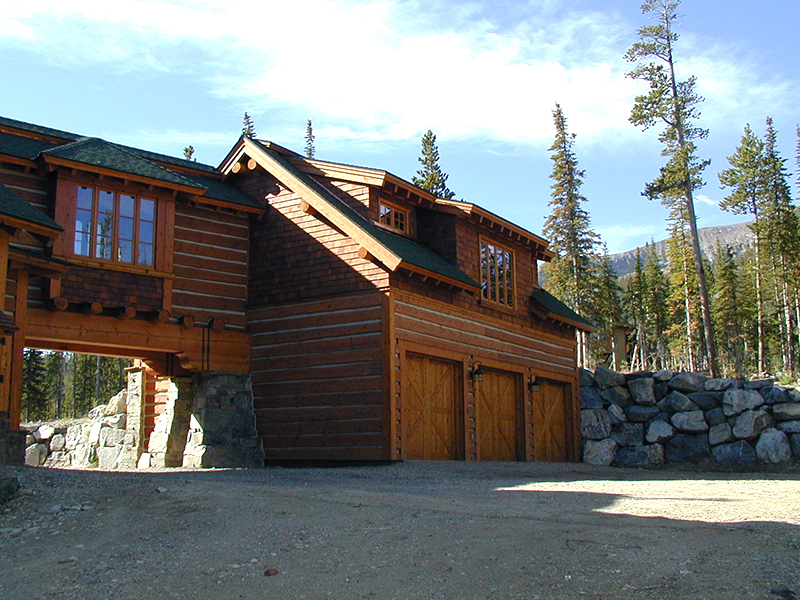 Jaw-dropping stone masonry on the home’s exterior sets the tone for this unique and spectacular abode. 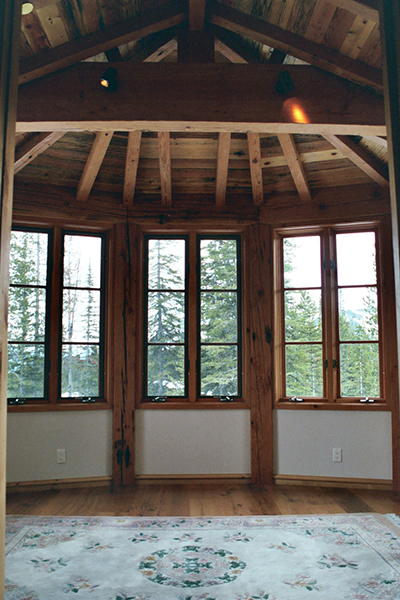 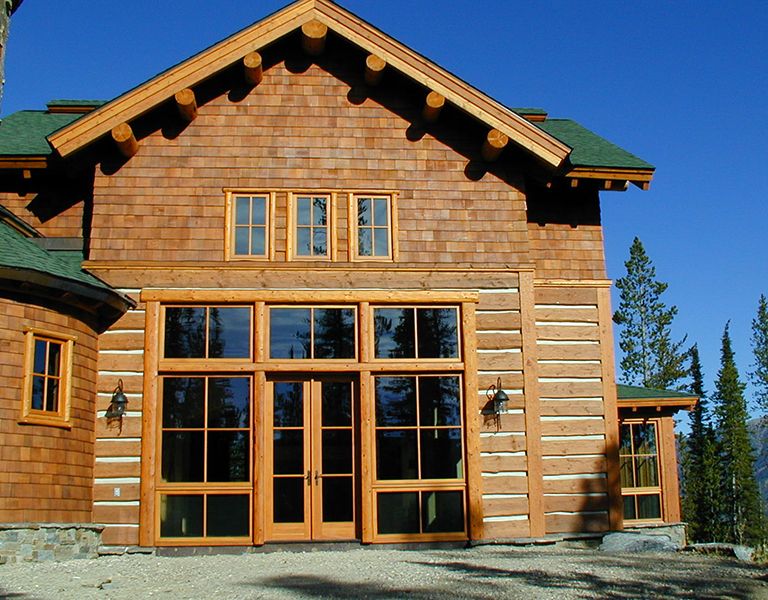 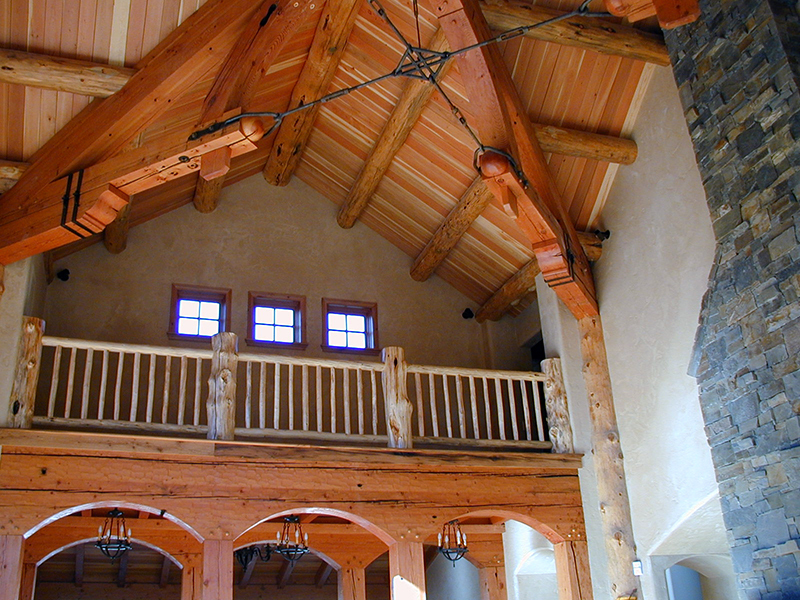 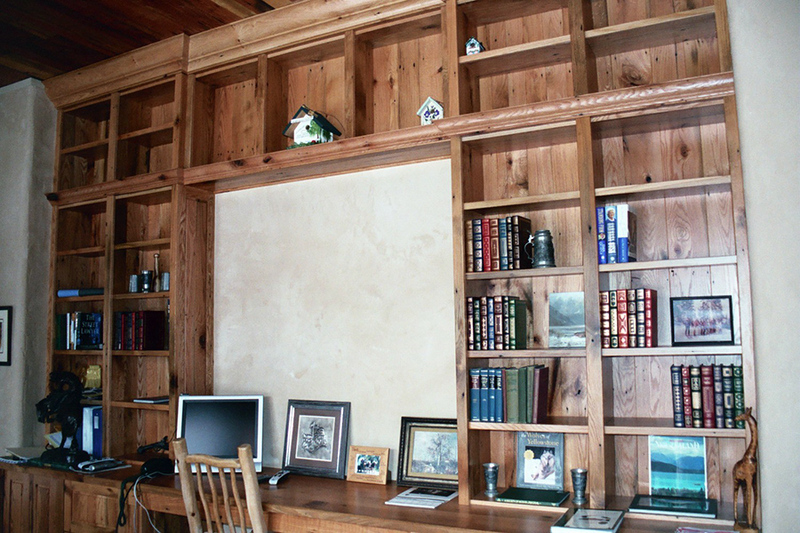 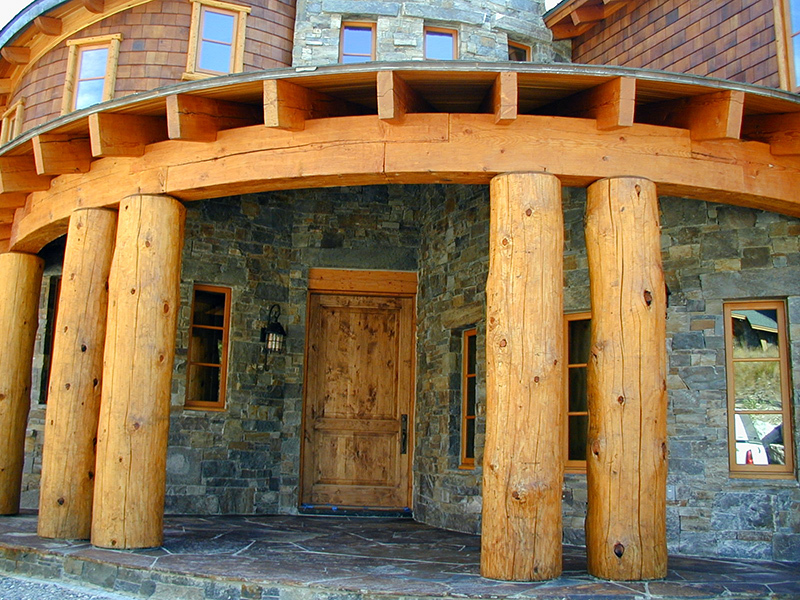 Inside, the hand-hewn timber frames upon which the house is built add both curvature and drama. 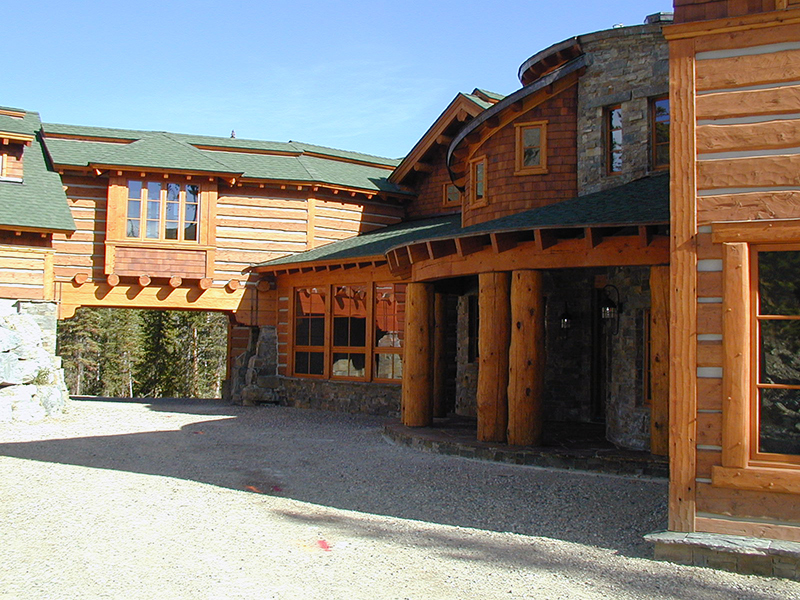 An outside catwalk and indoor elevated walkway are both eye-catching and practical. 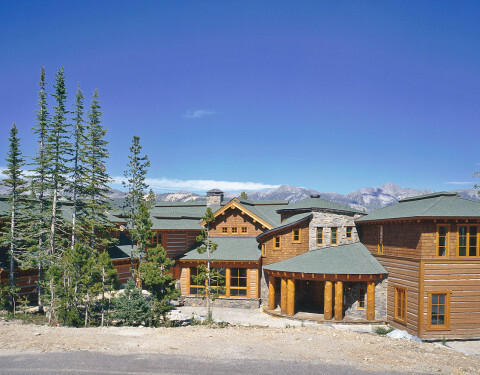 Other one-of-a-kind features in Big Sky’s Centennial House include a breakfast room drenched in natural light, an enviable ski-in-ski-out mud room, a powder room with a custom stone sink, and a master suite that incorporates a cozy sitting area with a fireplace and full wet bar.